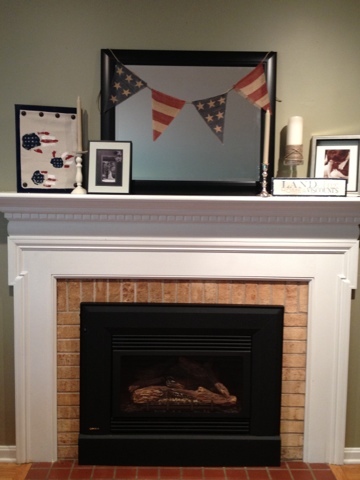 There's not much that gets me more excited than pulling off a Pottery Barn knockoff on the cheap. 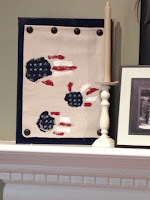 This Fourth of July Burlap Party Banner is so easy and inexpensive to make. 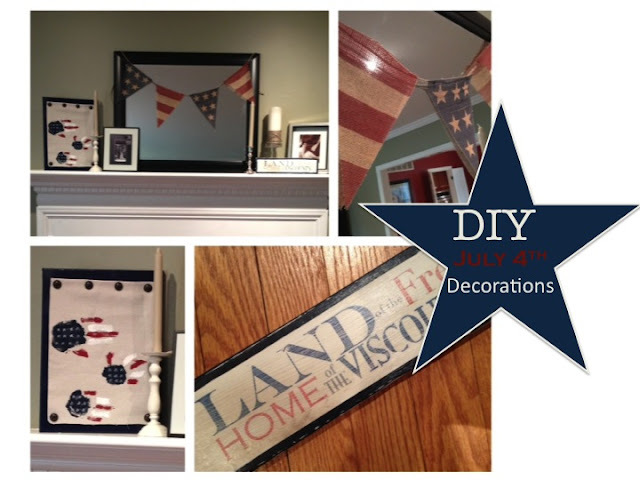 (Of course, if you're drooling over it, but don't have the DIY motivation - no worries! It's now available in my Etsy shop in three different sizes). Pottery Barn's version (on the right) is no longer available (all the more reason to DIY for this July 4th decoration), but when it was available it sold for a pretty penny. I ordered two yards of burlap from Joann Fabrics website. Honestly, it's just easier for me to order stuff online than it is to drag a 4 year old and a 2 year old to the fabric store. Kill me now...Anyway, shipping was .10...yes, 10 cents and the burlap was on sale! Aside from the burlap, you'll need freezer paper (look for it near the wax paper in the grocery store), a computer and printer and some rope, twine, or jute, and spray adhesive is optional. 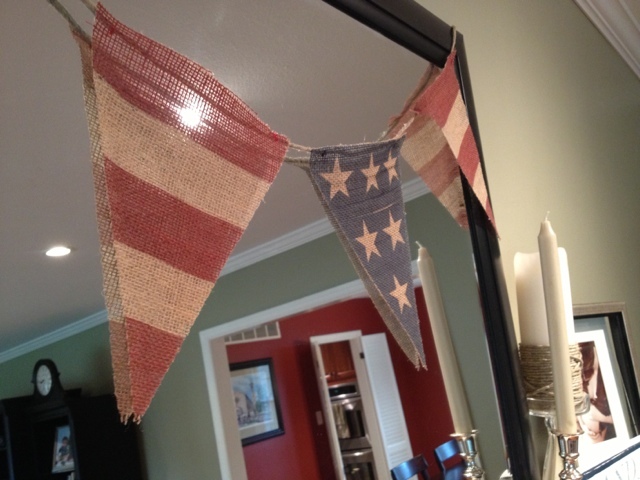 Here's what you do to make this adorable burlap July 4th bunting that will totally bring your patriotic decorations to a whole new level. Just look what it did for my mantel...see, told you. 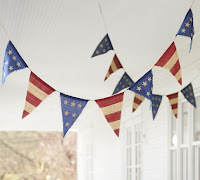 Open up the free July 4th banner/bunting printables that I created just for you right here and save them on your computer. Here's the stripes banner and here's the stars banner. Of course, you know me, I created them in my trusty PowerPoint so if you want to open then in there, then by all means, go ahead. 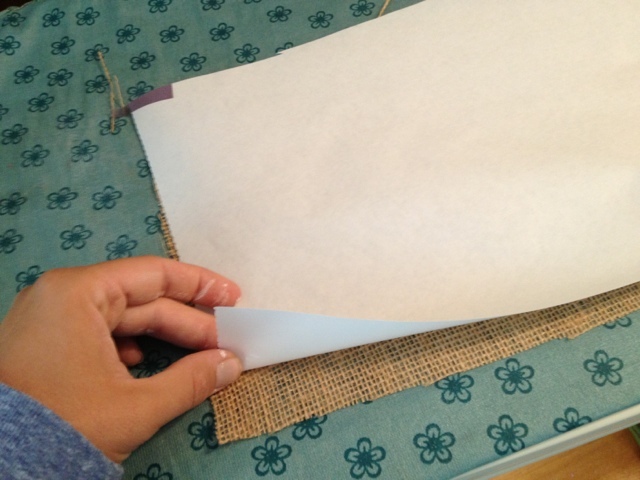 Cut a piece of burlap and a piece of freezer paper to the size of a standard piece of printer paper. Lay the freezer paper on top of the burlap with the shiny side down. Using a medium dry heat, iron the freezer paper. It will get a little crinkly, but don't worry. You just want the burlap to adhere to it temporarily. 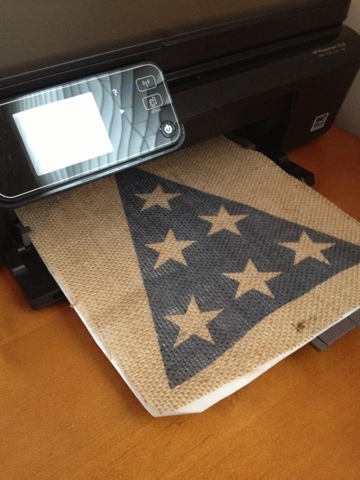 Now, put it in your printer tray orienting it so the image will be printed on the burlap side. Print one flag at a time. Don't worry if your printer sounds like it just got hit by a truck..that's totally normal. Okay, not really, but for this project it is because the burlap is kinda thick. 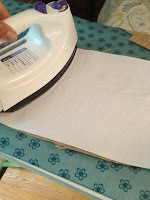 Cut the banner to shape before peeling off the freezer paper. This will make it easier to cut and keep the burlap from fraying. 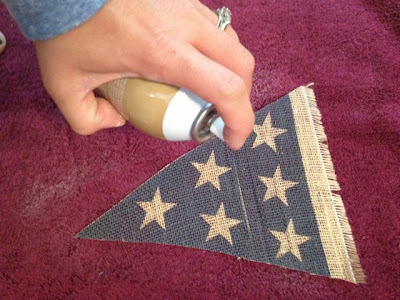 (Optional) Use a spray adhesive to spray the edges of the burlap banner to keep them from fraying. Repeat the above steps until you have as many banners as you want for your bunting. 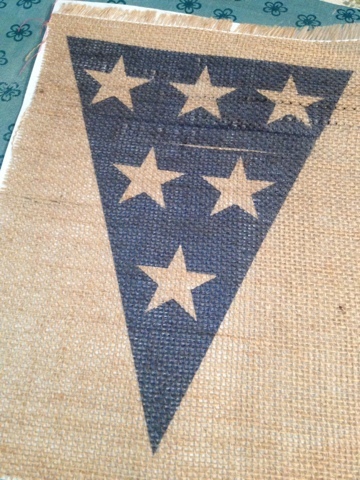 I used my sewing machine to tack the jute to each banner near the corners. You could also hand sew them or use a dot of hot glue. 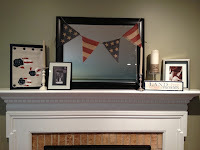 And that's it - a super easy, fast, and cute July 4th decoration to spice up your 4th of July BBQ or your mantel. I just draped mine over the mirror I have leaning above my fireplace. I absolutely LOVE how it came out and it's perfect next to my other DIY July 4th decorations like the "Land of the Free, Home of the Viscounts" wood sign I recently made and the handprint American flags my kids and I made (and then I mounted on a canvas with upholstery nails). Still waiting for my husband to add his handprint...but I'm pretty sure that will be harder than getting a good print from my 2 year old in one try. And, oh by the way, see that robe-wrapped pillar candle on my mantel? It's a Pottery Barn knockoff, too, made from dollar store supplies. Thanks again for stopping by 2IY. As always, if you like what you see we'd love for you to share it with the world by pinning it or liking it or shouting it from the roof tops.